I simply converted them to PNG/INFO and created the pack manually. 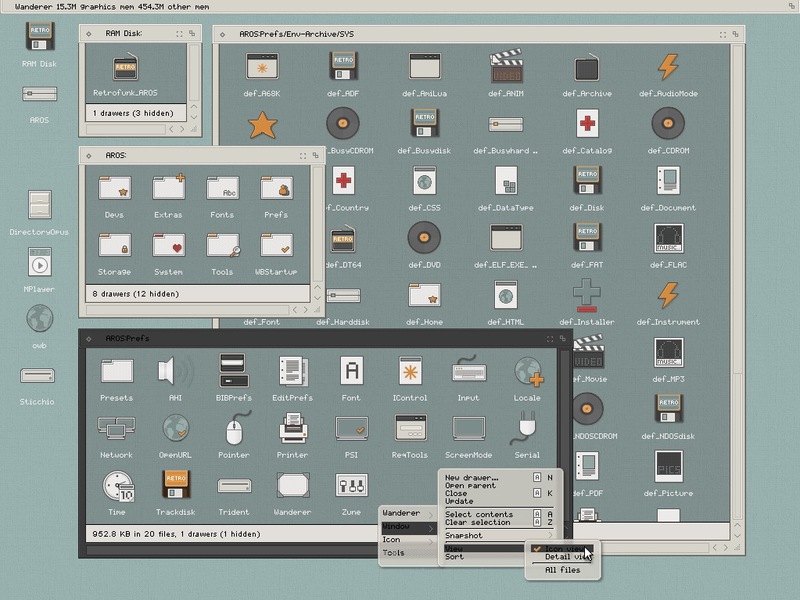 Theme is inspired by the Retrofukation suite and created from scratch. unpack it and copy to your SYS:System/Themes dir. some Wanderer backdrops and window patterns to match the theme. Some application icons are included (OWB, MPlayer, DOpus). - Tested on AROS Nightly Builds, use at your own risk! - Pay attention to your icon Tooltypes before copying def_Icons! - Greets to all AROS Users and Devs!